Beautifully manicured gardens, colourful houses reminiscent of Southern Europe, farm-stalls and homemade bakeries, whitewashed Mediterranean villas and picturesque scenery. It all sounds to me like we might as well be jet-setting off to a summer in another continent, way way far from here. It could even be the French countryside if you so wish. 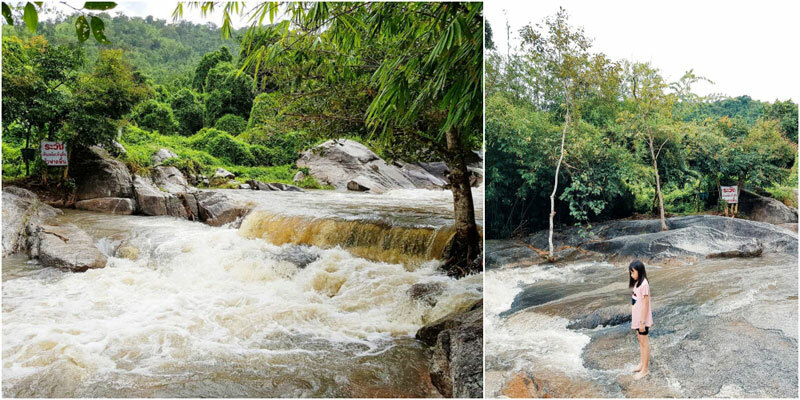 Just a short two and a half hours drive from big Bangkok, refresh the body and senses as you spend a few days surrounded by luscious green mountains – adventure to a waterfall or simple enjoy a cuppa tea in the sunshine on your lawn front. And did we mention, this little quirky and wonderful town is super, like superrrr into their farms, particularly animals, so expect to find a lot of them around. PS: Everybody knows that the tastiest food comes fresh from the farm-stalls. 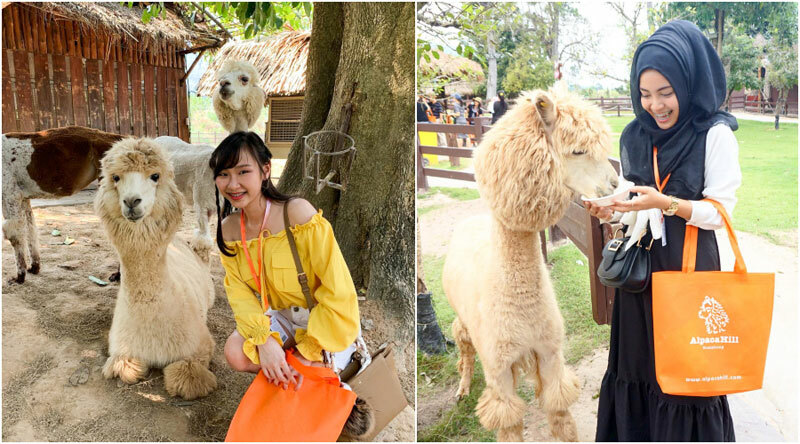 After visiting this stop, you can say you’ve officially been to Thailand’s first and only Alpaca breeding farm! That’s right, alpaca babies and they are so so cute! They’re like these gentle goofy looking little things. Three times a week, they allow visitors to get up-close with the alpacas too, so it’s luck of the draw on this one! Not only is it home to the alpacas, but they have an expressive Exotic Animal petting zoo with all sorts of furry and funny creatures, from wallabys to prairie dogs, giant rabbits and flamingos! Side note: There’s 250 square metres of land that have been designed to resemble the Alpacas natural habitat, and they enjoy as much space to move around as desired. There is also a team of professionals and on-site vet. Editor’s Note: Remember, animal cruelty ain’t cool. If you have seen signs that the animals are not being well taken care of, please highlight it to us immediately. If the animals are uncomfortable with you, please do not force them to take pictures with you. Please also do not feed animals food that might not be part of their natural diet. We urge you to write to us if you see anything that makes you uncomfortable – we will do our best to report the truth, and fight for their rights together. Nestled among 50 shades of green mountains, plus throw in a few palm trees, you’ll discover a little world of it’s own. It seems to take you back to a classical time and makes for a relaxing stay. There’s a definitive old-world charm about it and rooms are decorated accordingly. You can expect to find all those charming furnishes and finishing touches here. Villas are cottage-like, almost like a Disney fairytale – and rooms are decorated in floral paisley prints. There’s armchairs with fabrics to go, and your cups and saucers hang from above – naturally. And I HAVE to mention the gorgeous outdoor mosaic bathtub and pool. It’s a quiet and relaxing stay and feels like you’re away from everything. Spot the lambs, ponies and rabbits hopping and galavanting around, or have fun doing some of the activities on the grounds, including horse-riding and mini-golf. 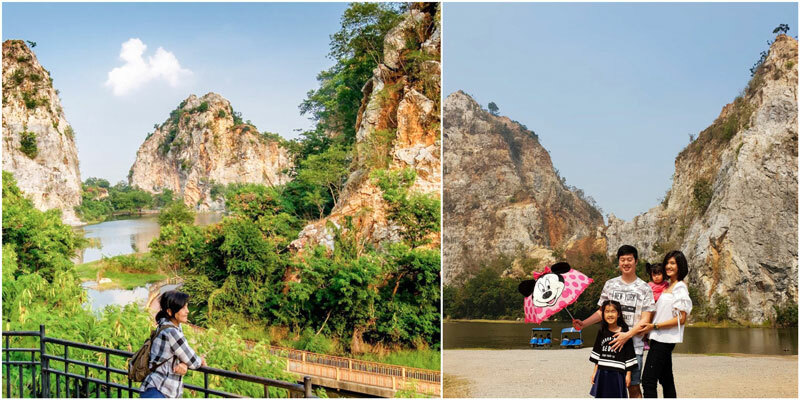 Get this, Khao Ngu Stone Park was originally a source of explosions and sub-rocks of Thailand from the 1700’s, and these mountains are said to look like a snake. 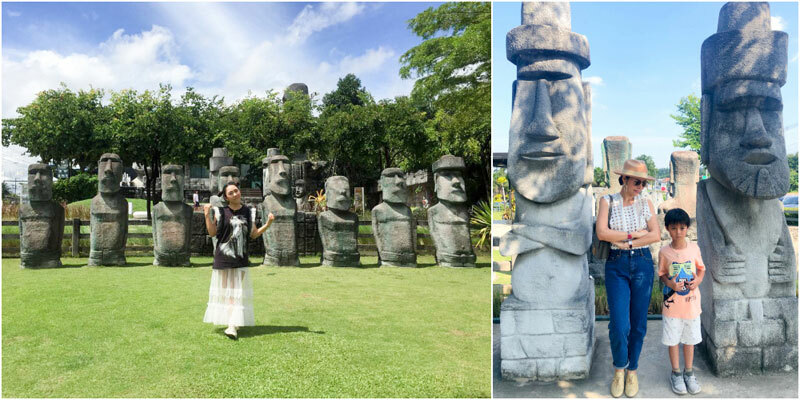 Now ‘Khao’ means mountain and ‘Ngu’ means snake, hence the locals termed it, “Khao Ngu Stone Park”. 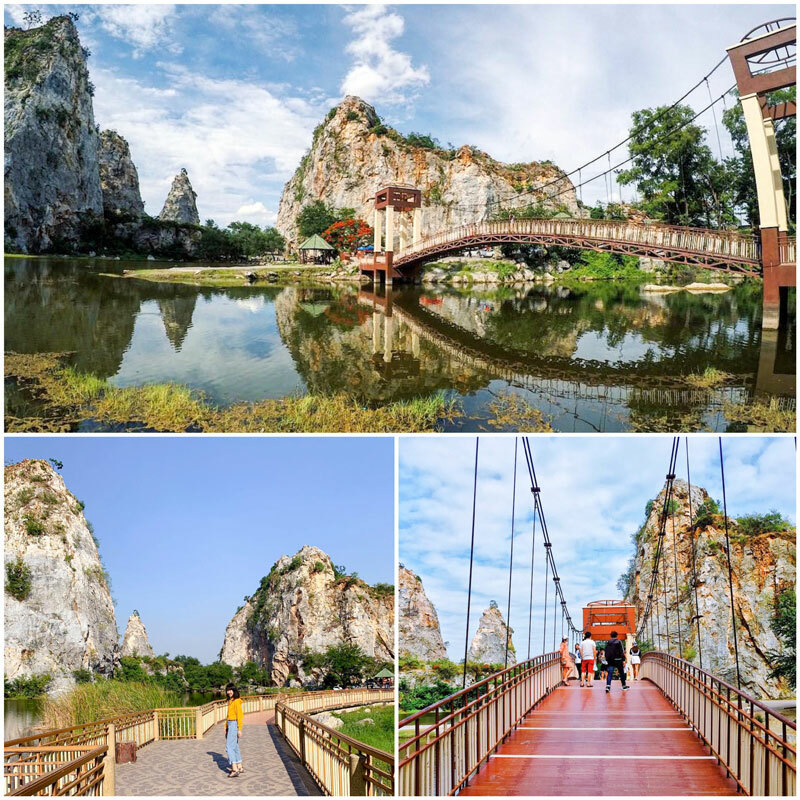 It’s a stunning park and you can take a boat out along the lake, and go boating among these gigantic beautiful rocks. Taking shots from this angle makes for amazing, up-close-and-personal photographs! 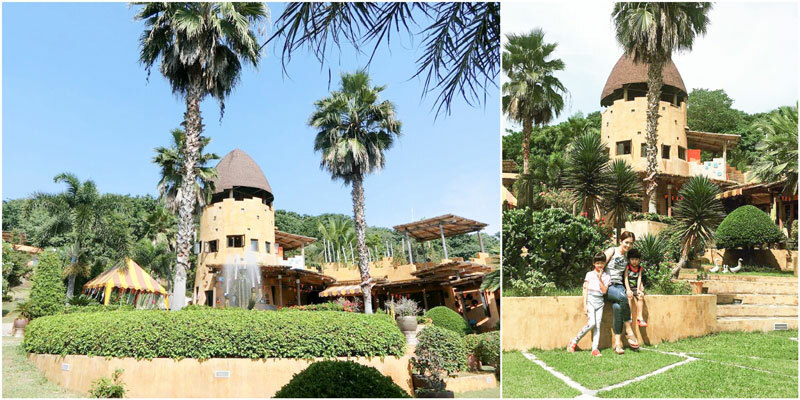 Enjoy the natural serenity that the place brings, and the park is also filled with big Buddha statues – so there’s really a feeling of zen in your overall experience they say. Cool down, splash around, and get water wild! If you’re travelling with children, you’ve hit the jackpot with this resort designed for the entire family. 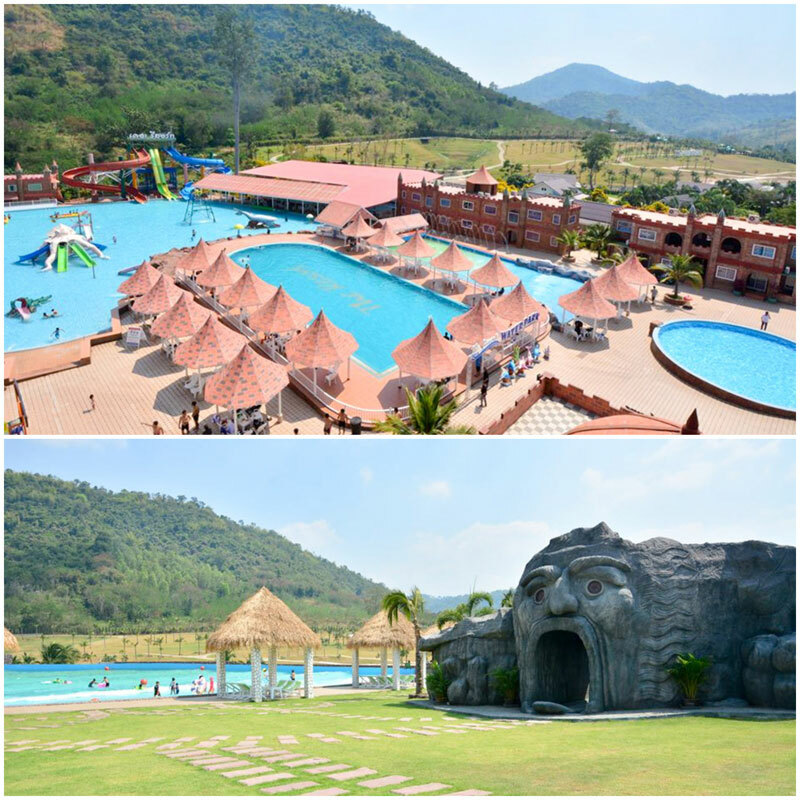 It’s a resort as well as waterpark, and is totally equipped to keep your family entertained for a good few hours. 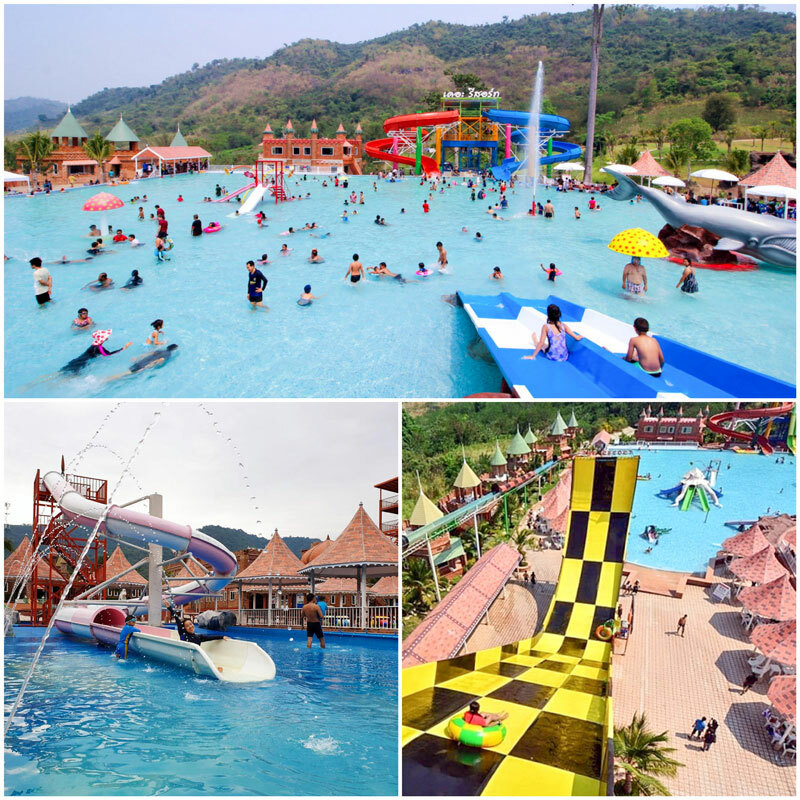 There’s a nice variety of water slides and various water activities. Jump and bounce around on a trampoline in the water, and chuck yourself right into the water with plenty of things to do all in water! 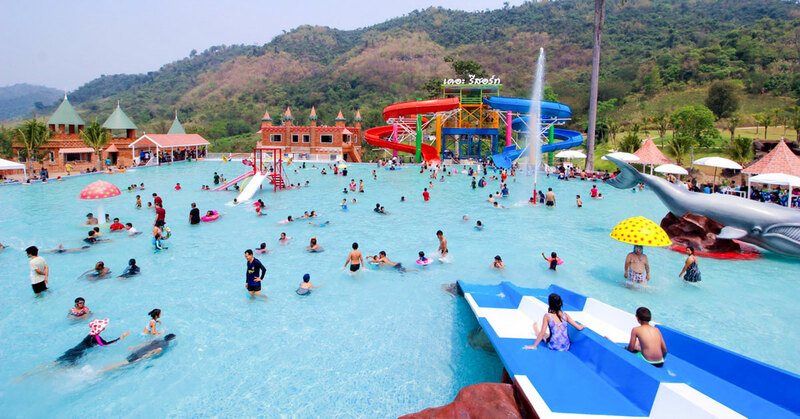 They’ve also installed a huge pool of water that creates a natural feel – the kids will love it! Convenience is key here. Wake up early and play, and you have the luxury of returning to your room as soon as you need to take a break. In addition, the location of this villa is superb, completely surrounded by mountainous scenery. You may recognise these giant Polinegian stone age monuments (carved as humans with giant heads), found on the volcanic island where Chile shares territory with Polynesia known as the Easter Islands. 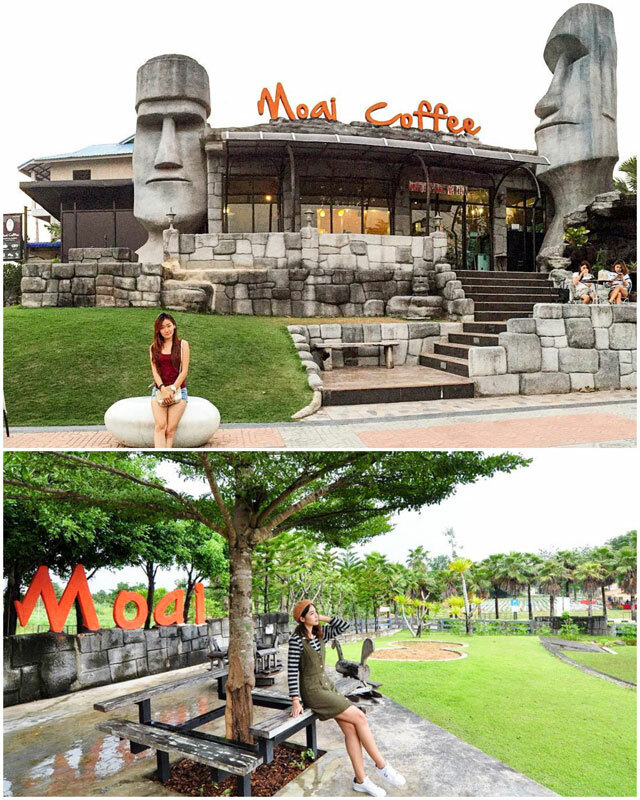 These ancient, historic statues are called ‘Moai’, hence the name of this little coffee spot. And it’s not only in the name but the design and layout too. Indoor and outdoor seating is cleverly designed and there are quirky bits and bobs everywhere. It’s a really cool sight to see, and after you’ve done some gandering (and photo-taking around), stop, refresh, and enjoy a seriously yummy latte. Or if you’re feeling peckish, fill your bellies with a good salad or a deliciously cheesy pizza. Obscure geometric naturalistic…sounds a bit crazy, and it looks a bit crazy, but in a really groovy style, set among the trees with a modern touch. It sports theee most gorgeous glass open windows that stretch from floor to ceiling in each room, and looks straight into the treetops, or a collection of trees out front. I’ve mentioned before, I’m a huge fan of a great bathtub/bathroom, and they don’t disappoint. Each room has a different style of tub – each as equally beautiful. Wow, okay I’m so into the design of this place and each room is an eclectic mix of elements from leathers, to bricks, prints and textures. I would suggest booking the Tiny Garden Cilla if you wanna splurge – it comes with ua nique outdoor water bath that is simply gorgeous just to look at – not to mention relaxing in! 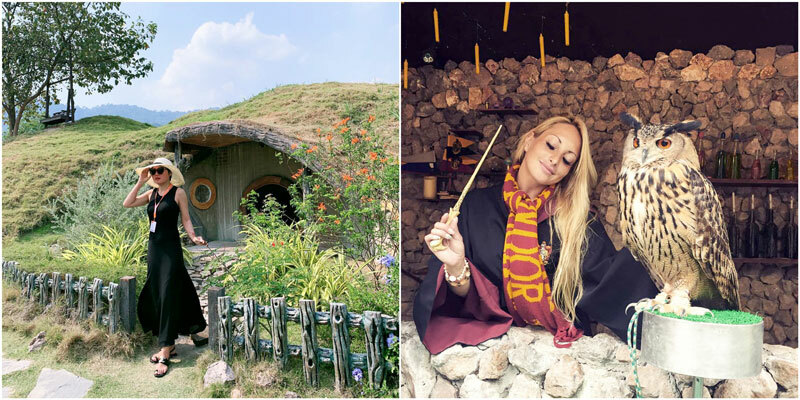 I’m always on the hunt for something different to do when travelling and I simply love this little destination spot – plus it makes for an epic momento! What am I talking about may you ask? A candle factory! It’s a well known attraction in town, and is home to the most ambient little candle shop I have ever seen. How the set up works: you’ll find a market, souvenir shop as well as food shop and the best part yet, a candle-making workshop station where you get to create your own candle in any shape or form. That’s right, ANYTHING your heart desires/mind can conjure up. 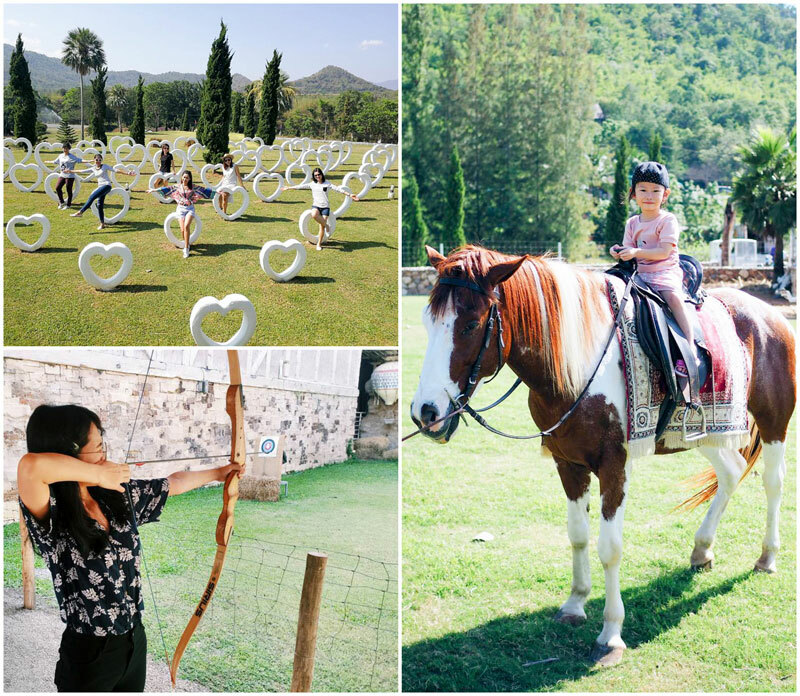 The kids will totally go bonkers for this one, letting their imaginations run wild and it’s a great stop-over for a family activity if you’re travelling with your whole brood. It’s home to the cutest/coolest little shop selling so many knicky-knacky things from patchwork shoulder bags to wooden utensils! Awesome gift ideas too! Thoughtful and from the heart. PS: Every ticket comes with a free candle! Bonus! 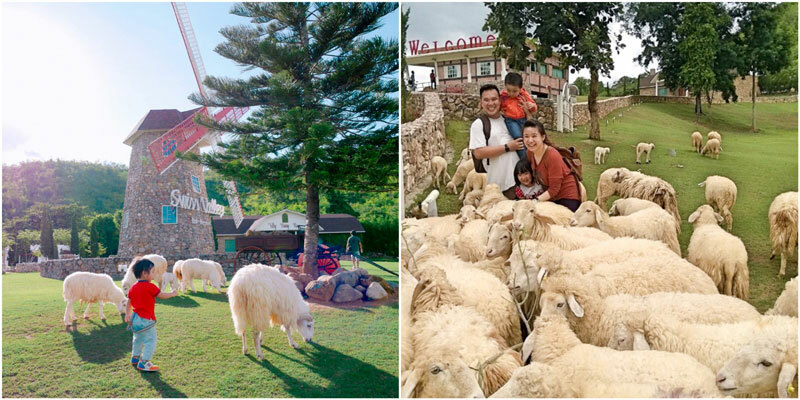 Here you’ll find thatchwork and patchwork, hay stacks, white farmhouses and barns, if you’re looking to escape to the most adorable vintage farm-style village. A day activity or over-night stay, this will surely tickle your fancy. It’s got a total farm feel about it which is just amazing for kids, as well as adding a bit of nostalgia to your life. 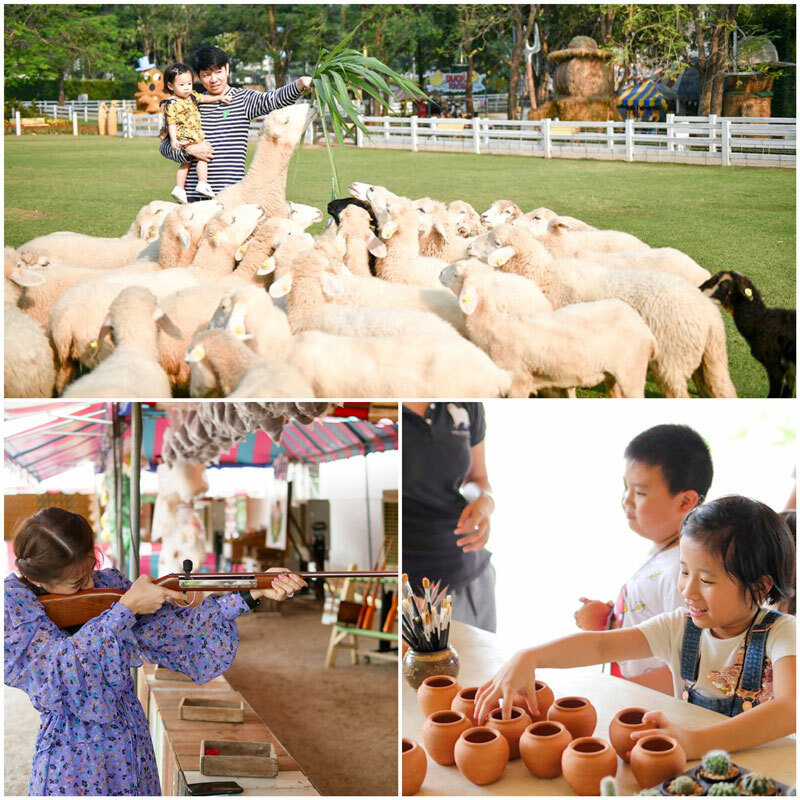 There are various activities for visitors to try from feeding sheep, to archery, horse-riding, dress-up and wagon rides! 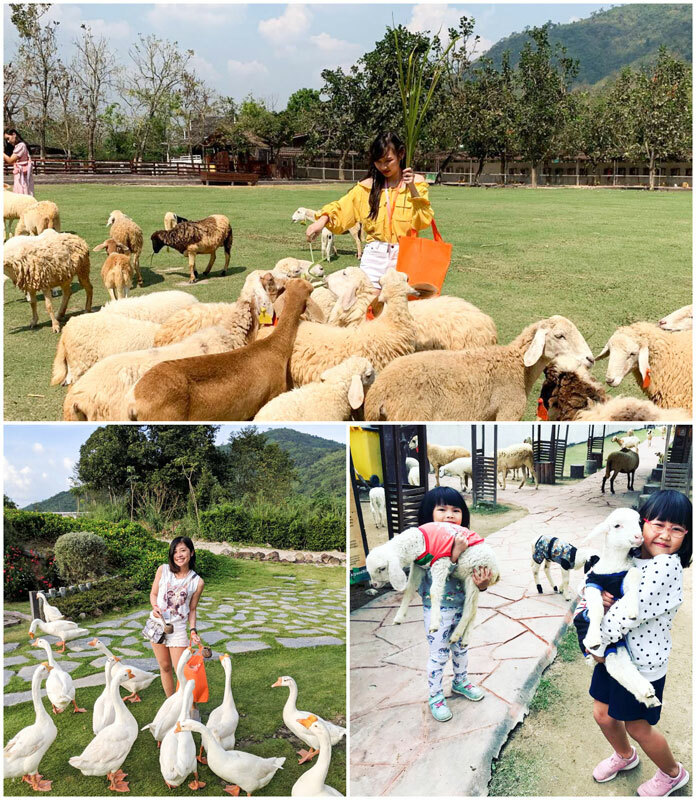 The farm itself is scattered with the cutest animal farm figurines – be sure to look out for the oversized pup, looking after his herd of sheep on the daily. 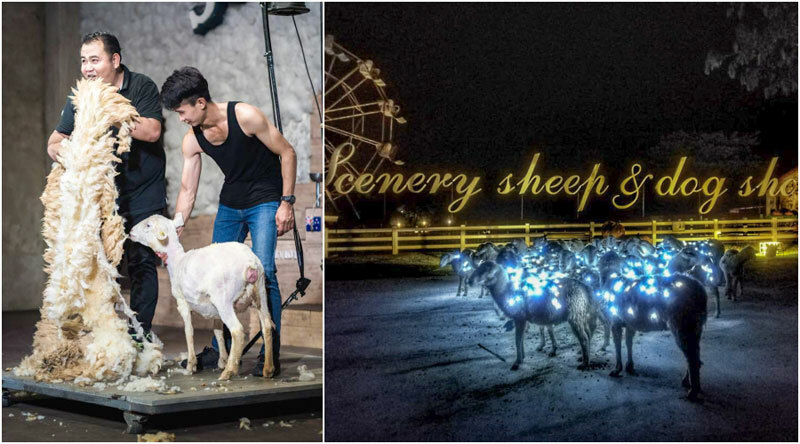 The Honey Scene Restaurant is where you’ll stop for a refuel and I HAVE to mention my favourite – the ice-cream…Here they make their OWN sheep’s milk ice-cream and rumour has it it’s incredible! 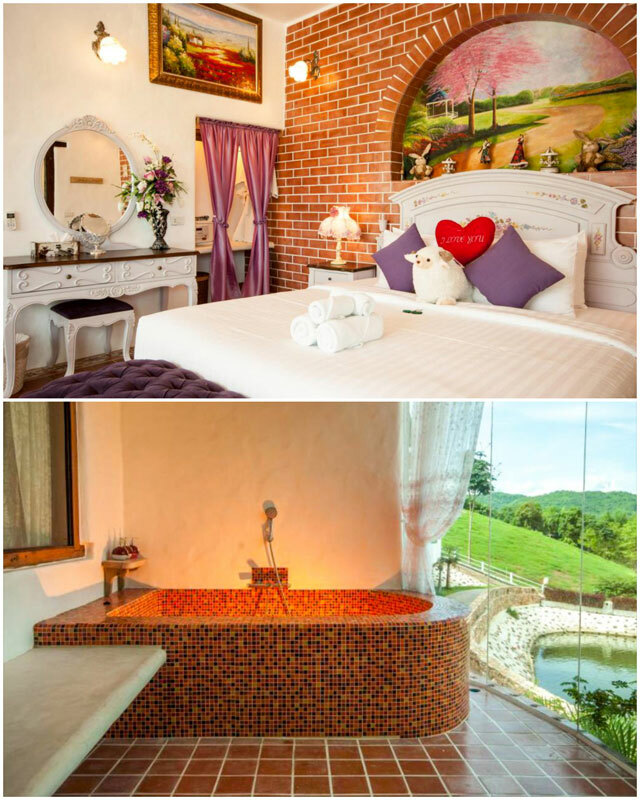 Lastly, if you’re looking for a place to spend the night, they offer amazing villas with two options – either outdoor bathtub or jacuzzi – either or, it sounds pretty dreamy to me. 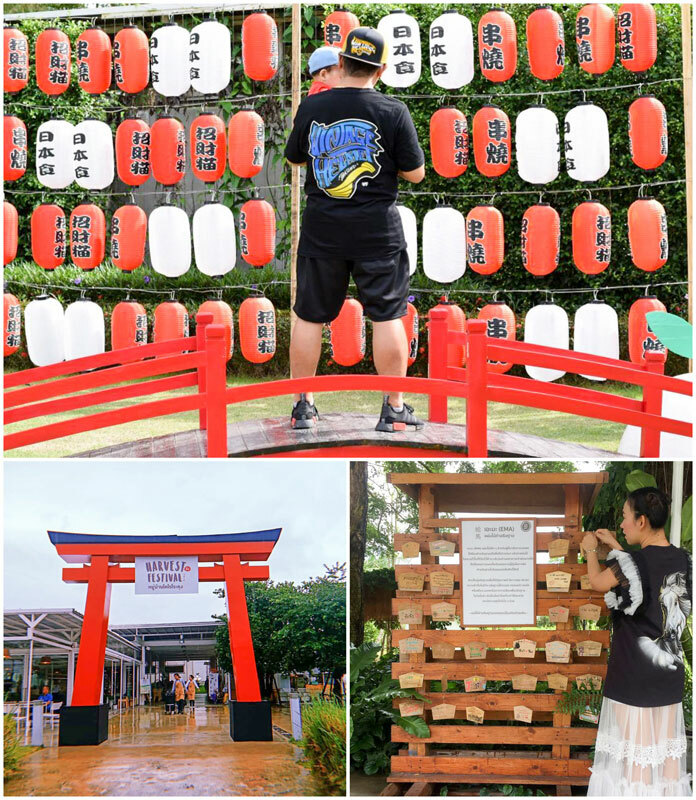 Calling all you agricultural fanatics, there’s a new destination in town and this time we’re going Japanese-style. The space includes 5 different zones. 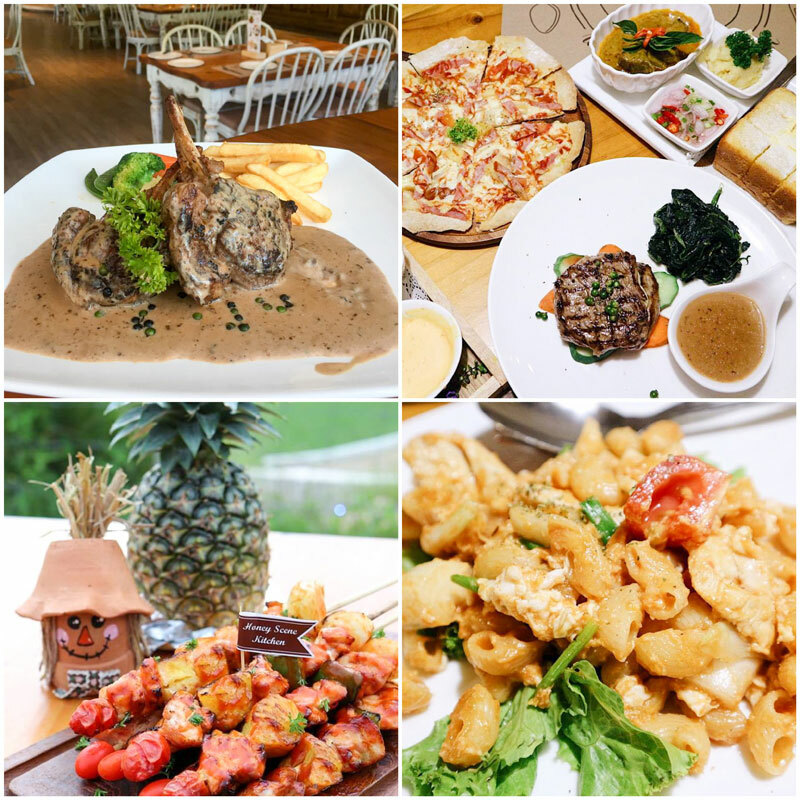 First, let’s start with Coro Cafe where you can enjoy the freshest and tastiest farm-style treats, all sourced from the fields. 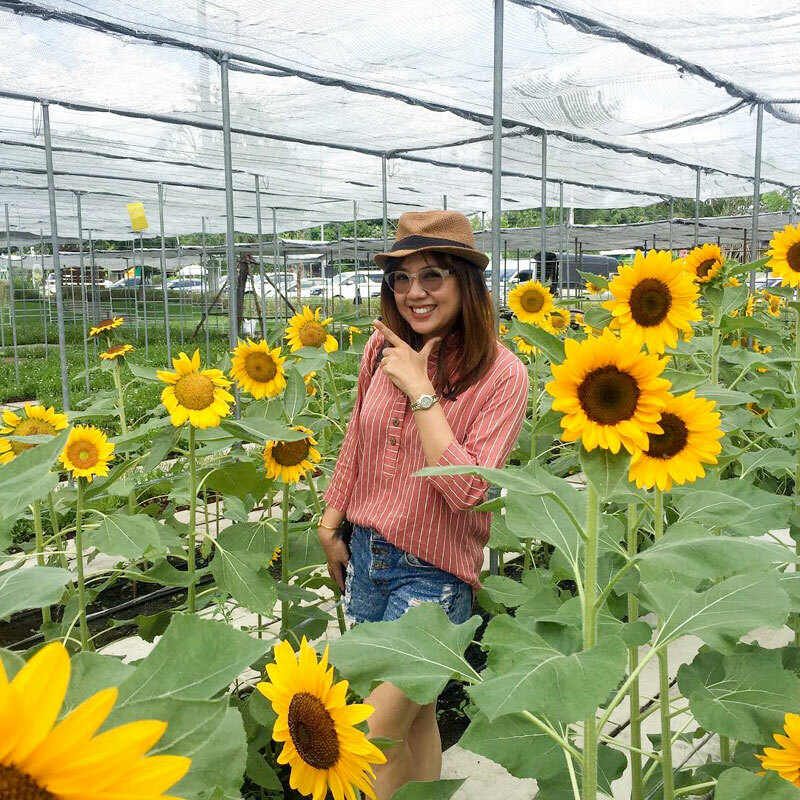 Visit Coro House and take a tour in their greenhouse, tasting green melon straight off the vines, or plant and pick your own vegetables in their Garden. Wow, such a fan of this idea! Lastly, they also offer a range of awesome DIY activities so why not plant and decorate your own plant and pit – zen garden style. 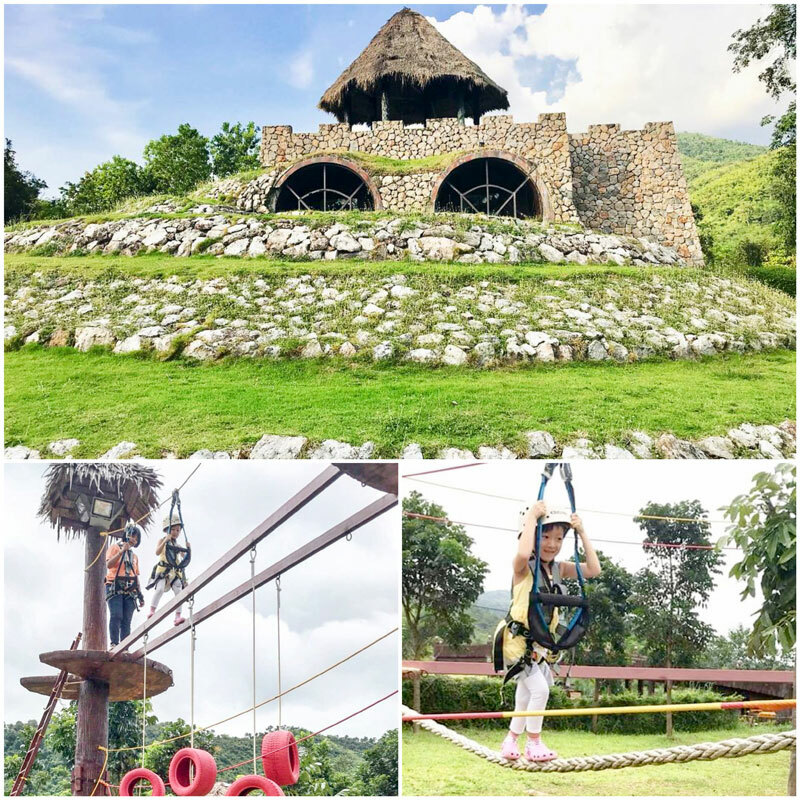 If you’re tired of staying in enclosed spaces and are looking for something a little adventurous to do, this might just be right up your alley. 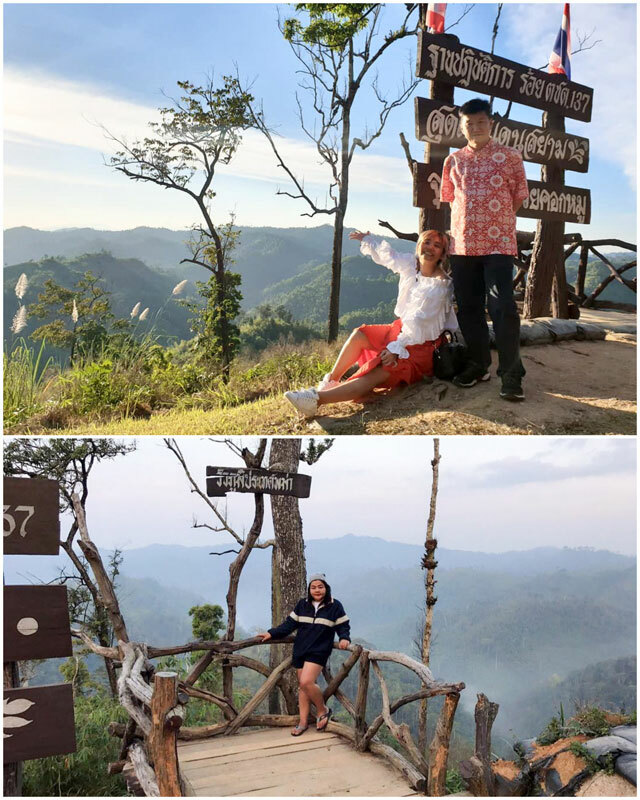 Hire a motorbike or 4×4 wheeler and drive a good 8km till you reach panoramic views on top of the mountain of this Thai-Myanmar border. 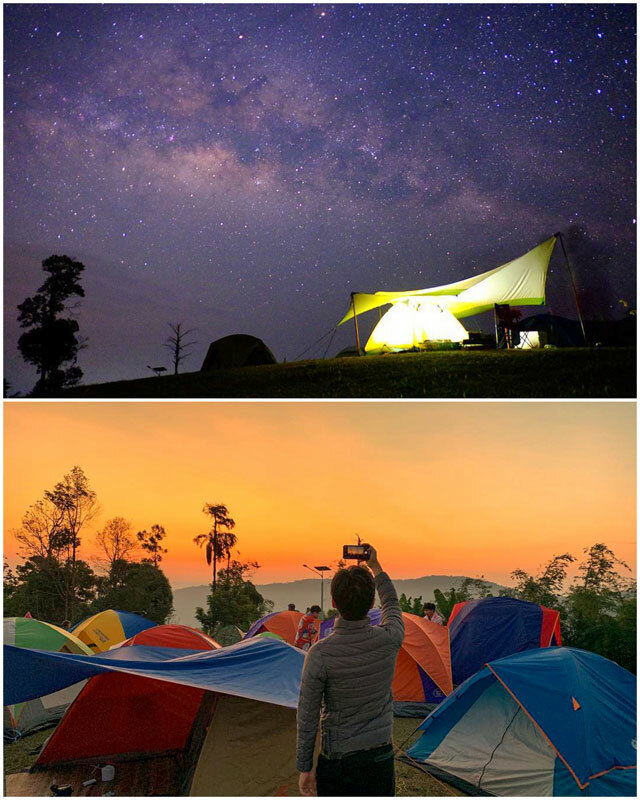 A lot of travellers also choose to set up camp here – mainly because it’s free! – which is awesome. However there is a donation box for those who want to say thank you for the free facilities and it’s care. Speaking of, there are toilet and shower facilities as well as a basic food stall – so if you like your munchies, eat a big lunch and don’t forget to pay 7/11 a visit before! PS: The best time to visit if travelling in winter is in the early mornings. This is when all the mist and fog creeps in and it creates quite a misty cool atmosphere, that definitely make for some beautiful photos! 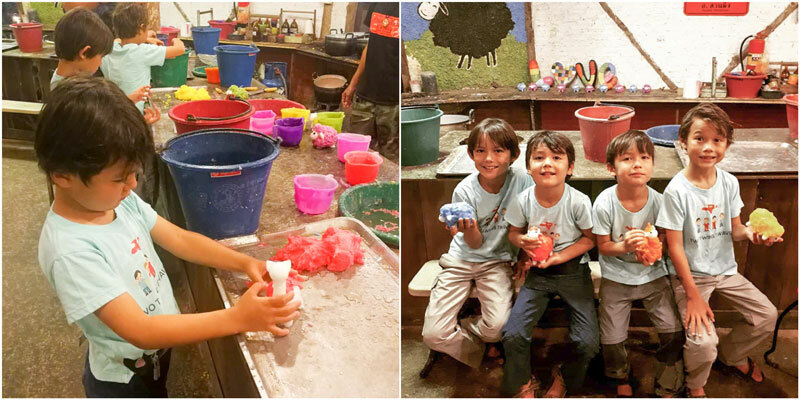 Another jam-packed activity zone with cute rabbit holes and the bunnies to boot, the grooviest flower mural that belongs in the 70s, and a serene lake that also hosts big water wheel bikes! 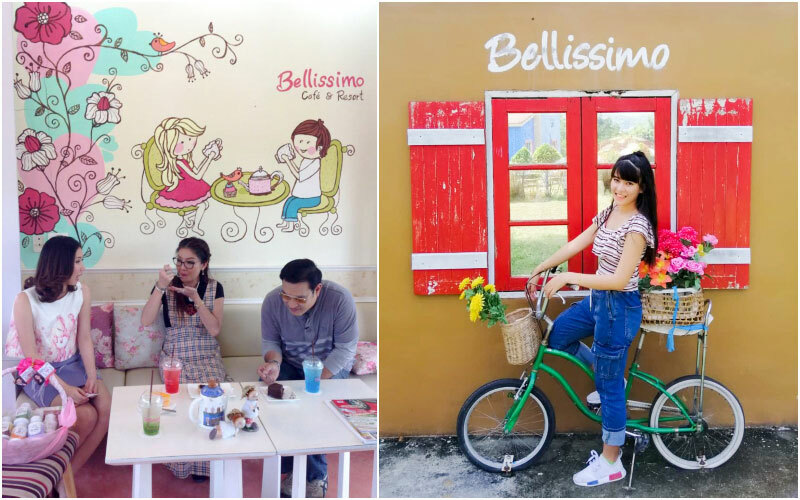 It seems they’ve gone for the Santorini, Greece vibes here, donning the place in whites and blues – and is one of the (many) European-themed tourist destinations in the weird and wonderful district of Suan Phueng. There’s even a shetland pony range, and you can sit back and relax at the Veneto Bistro, designed in a sweet loft-style. 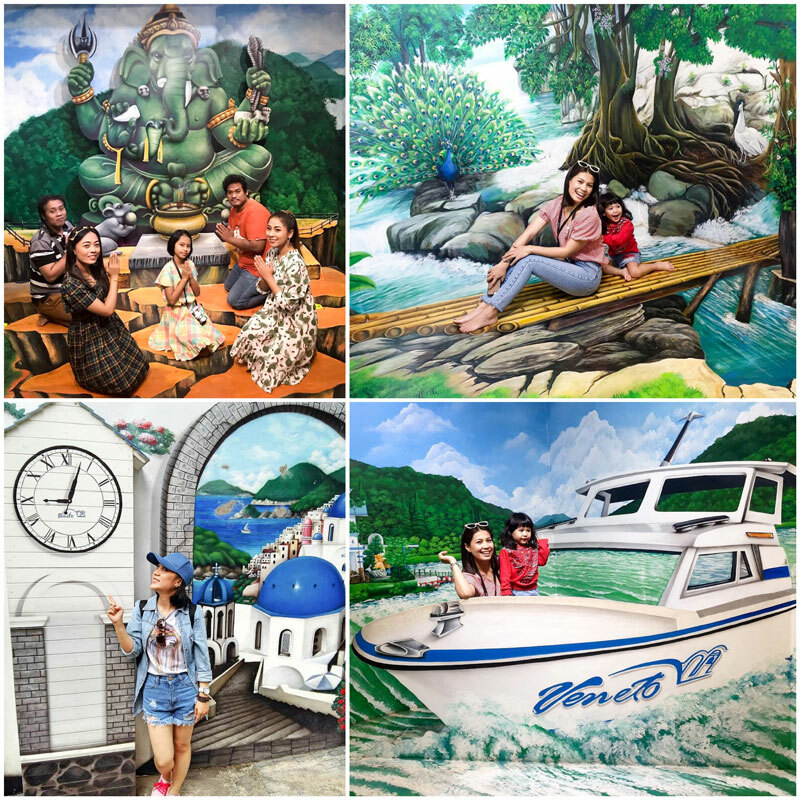 And of course, what’s Thailand without visiting a 4D gallery? Luckily for you, you’ll find one here so have some fun taking crazy photos that will fool your friends and family. 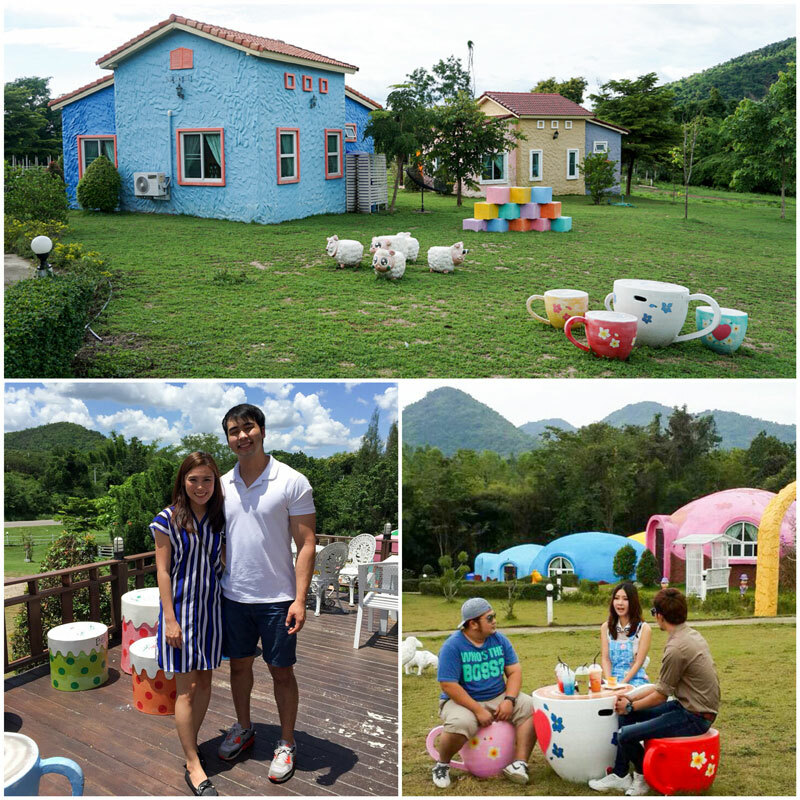 I would say it’s also a great place for couples to stay, especially if you’re into your cutesy/mushy love. 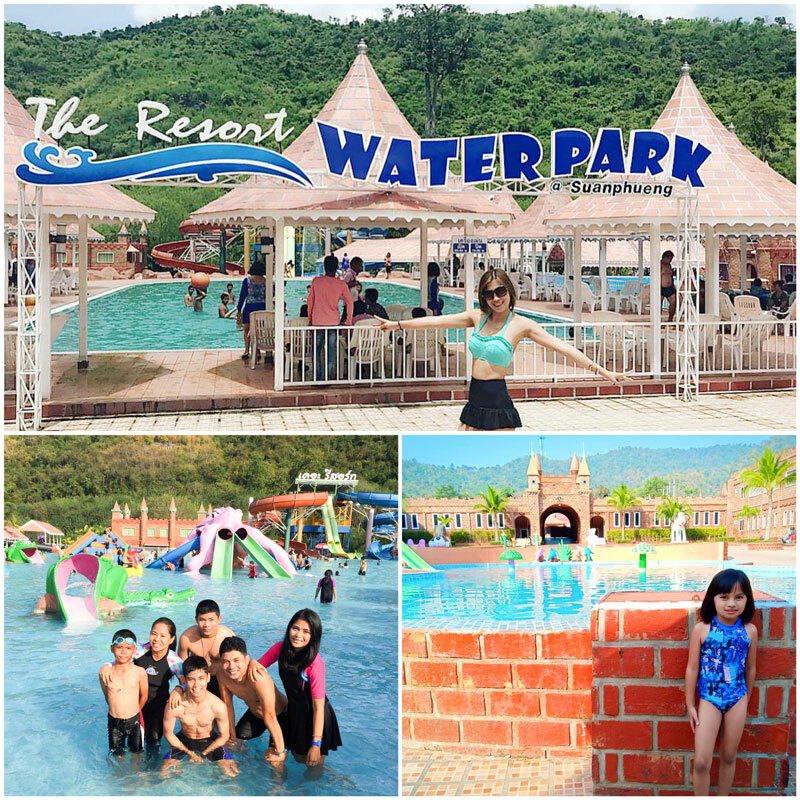 Price: From 130 Baht / USD $4 (Children; 180 Baht / USD $5.60 (Adults); 150 Baht / USD $4.60 (Elderly); Kids under 100cm free! If you love pops of colour in your photos, even better yet, especially in architecture – think of the colourful houses in Portugal or along the Amalfi coast – you’re gonna fall in love here! If you haven’t noticed by now, this is a town filled with farms and this resort is no different. 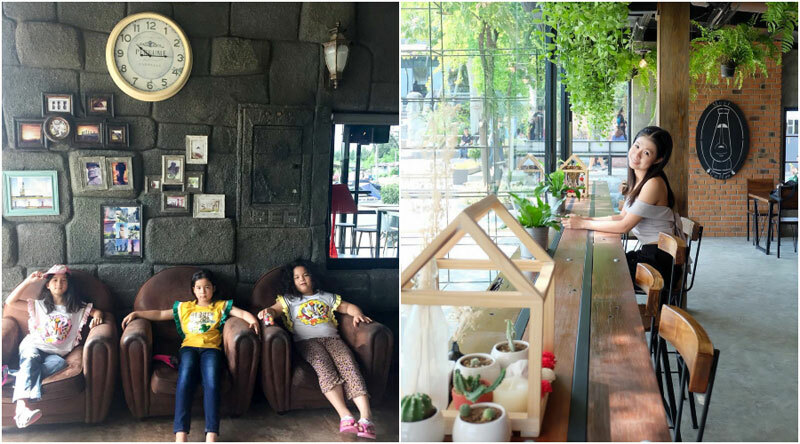 Located by the surrounding mountains, it’s quiet and peaceful, and home to a cute little cafe/bakery if you’re in the mood for a matcha latte. 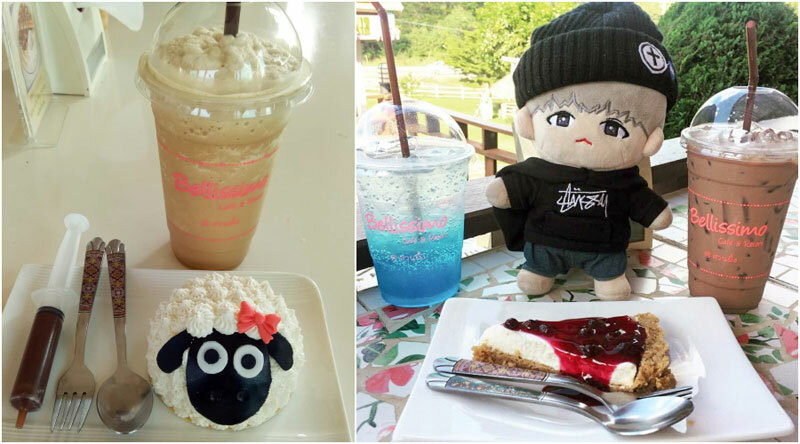 There’s also a sheep farm – cute! 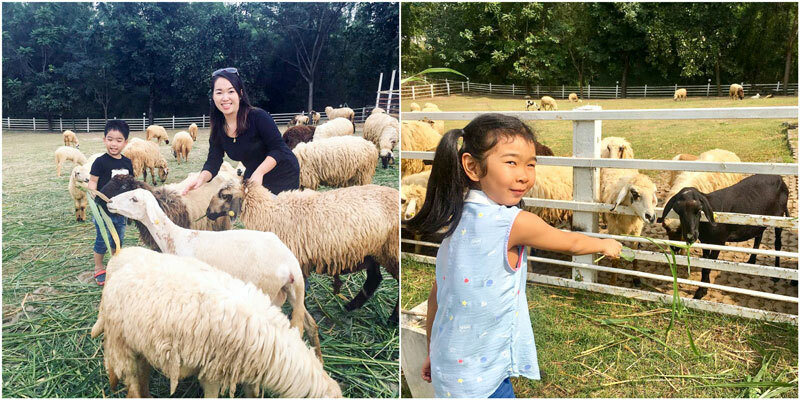 – and visitors can feed the little lambs! Last but not least, if you’re looking for budget accommodation that provides spacious rooms as well as a lush green environment, you’ve hit the nail on the head with this one! A spectacular one for the adventurers, and this is definitely more than just your average waterfall! Starting at the bottom, walk 500 meters from the parking lot to the lowest level of the waterfall. 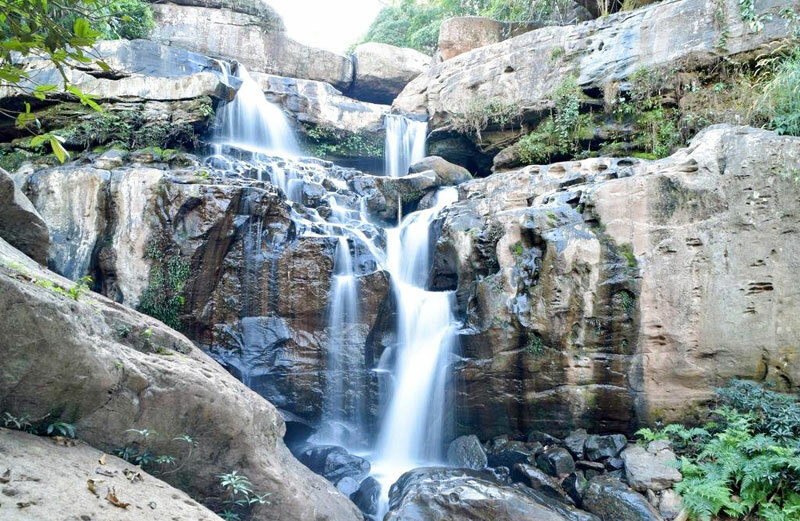 I would recommending making the trek to the sixth as it boasts the most beautiful fall of water – spectacular! Now, get this! You can actually stay overnight at the waterfall itself! Bring your own tents, climbing equipment and flashlights, and take shelter for the night on the ninth floor – EPIC or what??!! PS: You should reach Level 9 before sunset by 6pm, if you’re planning on spending the night. TripCanvas Tip: Please don’t drink the water here, as when the water flows all the way down it hits a lot of mud (it’s 14 stories after all!). Admission Fee: From 10 Baht / USD $0.30 (bicycles); 20 Baht / USD $0.60 (car); 100 Baht / USD $3.11 (bus); Free if you’re walking! As the skies turn dusty pink, witness a pretty phenomenal sight as millions of bats leave their cave around sunset, about an hours’ drive out of town. Khao Chong Phran is home to a beautiful cave named Tham Phra Non, and is filled with more than 100 Buddha images, as well as a massive 9-metre long reclining buddha. But of course, people flock to witness the bat colony forming a large black line across the early evening sky. This activity can last for hours into the evening, but to be honest, staying for more than 30 minutes, MAX, might start to feel a bit creeepyy, especially as night falls! A little spooky, a little wacky, but totally memorable! Aleeeelelelelele, ‘Woza’ (meaning ‘come here’ in native Zulu) Africa. 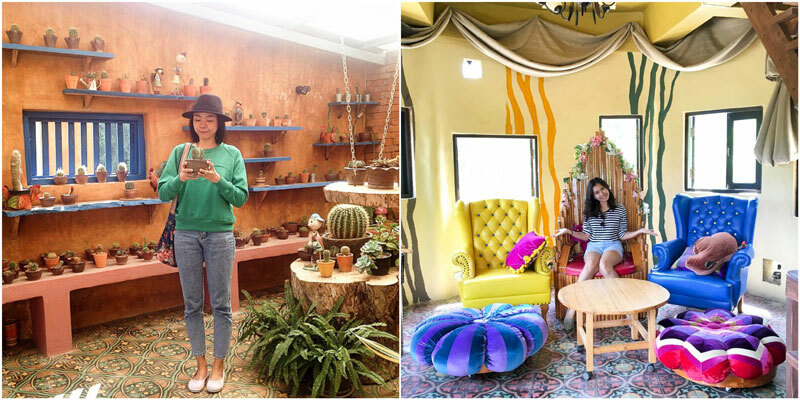 I’m loving this African-themed/Mexican infusion vibe going on, and it feels like I’m stepping onto the plains of Africa – or sitting among giant cacti in Mexico (said in accent if you’ve been watching Narcos). But let’s talk real business, the homemade, fresh goods bakery serving d.e.licious coffee, and homemade ice-cream! And you just have to try the Chocolate Lava Cake here too!! Another totally awesome place to camp for the night, except they provide everything you need, and tents are already set up in a beautiful green garden lined with trees and the rolling hills. If camping ain’t your sorta thing, indulge in one of their stunning villas, reminiscent of the Western coast in South Africa; cements, neutrals, thatch and simply stylish. A small shop sells the most unique souvenirs filled with cute baby clothes with the Big 5 animals printed on them, lots of leopard print, wooden ornaments and trinkets. 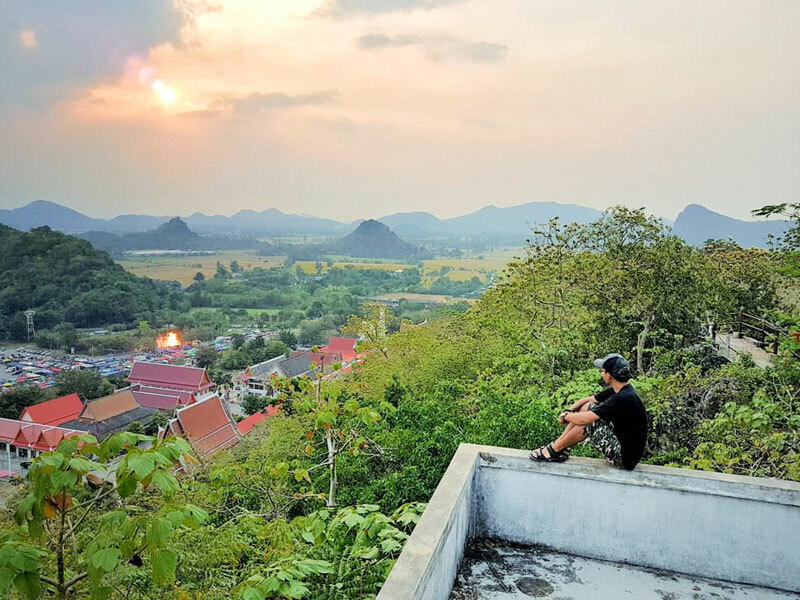 Who knew there was so much to enjoy in a little town just two hours from Bangkok, offering travellers something a little different (and a LOT more green) than your usual skyscraper sky. So when you’re trying some of that home-made sheep’s ice-cream, do totally let us know about your overall experience by commenting below or sharing on our socials! Sign up now if you want us to send you an email whenever our partners have something to share with everyone! 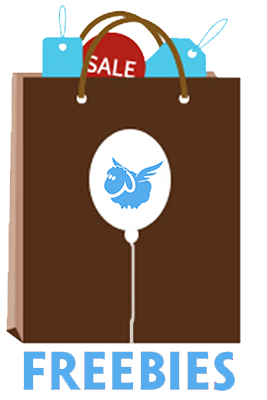 FREE air tickets, free stays, free tours or free gifts! 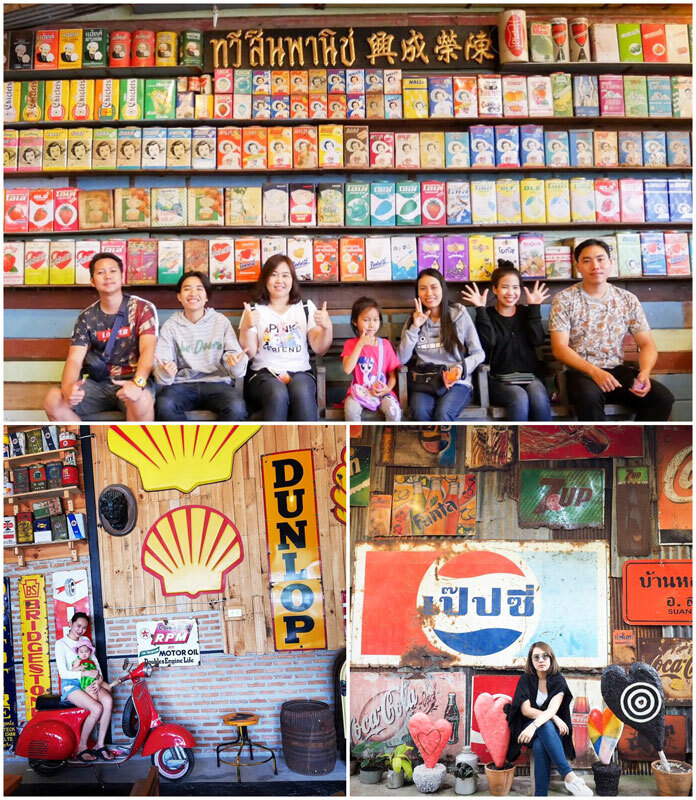 Not just for shopping: 27 reasons your family (and kids) will love Bangkok! 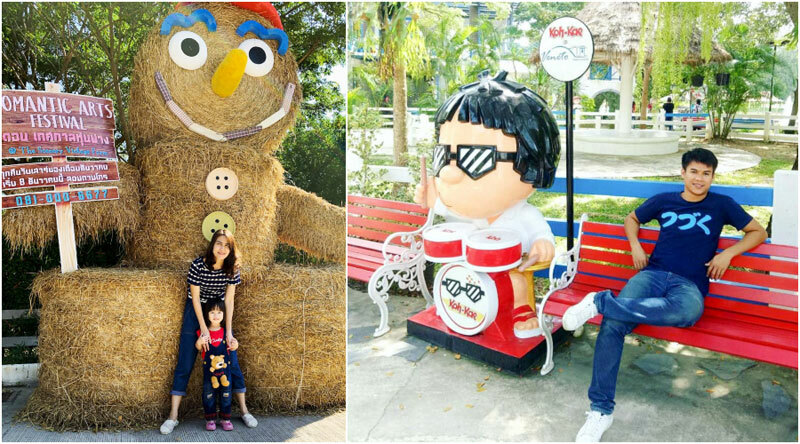 Traveling to Bangkok with your family? 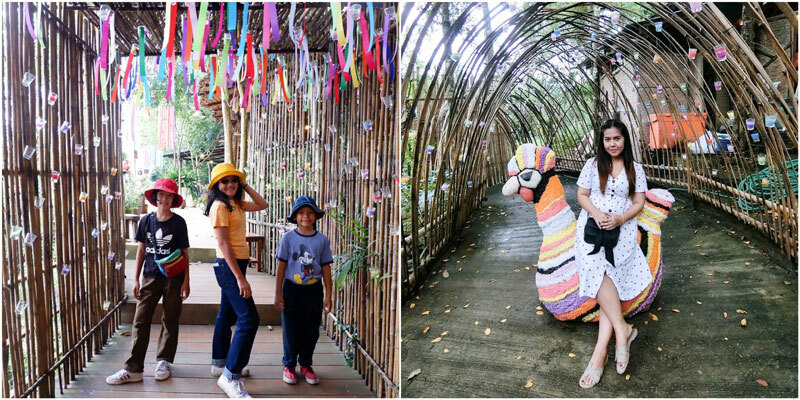 These family-friendly things to do with kids in the Thai capital are the perfect attractions for your vacation to Bangkok. 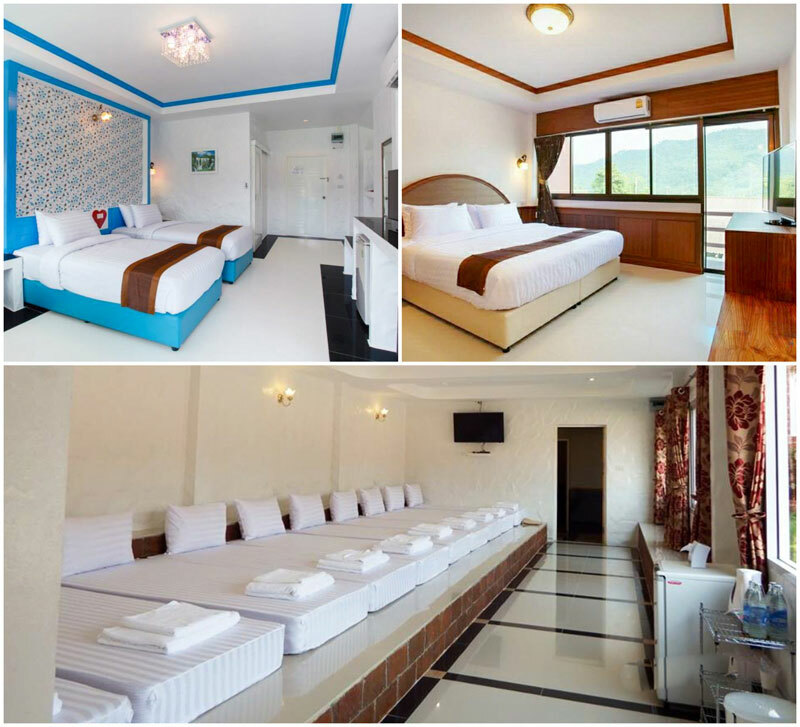 Try these 14 remarkably affordable lodgings in Bangkok right by the BTS that will reignite your travel bug. We guarantee no bed bugs! 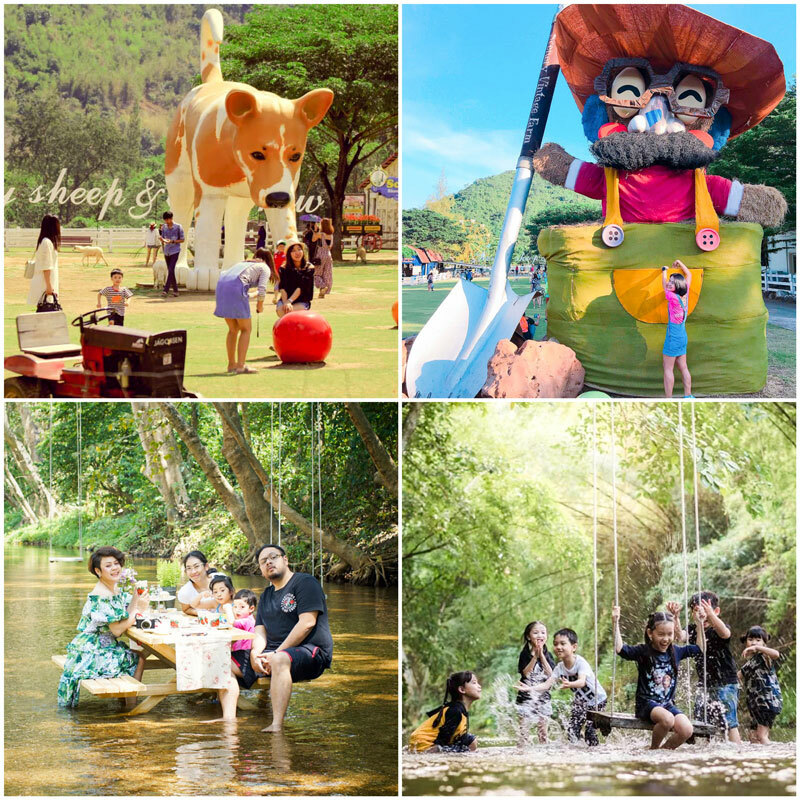 24 reasons to visit magical Khao Yai: A fairytale land 3 hours drive from Bangkok! 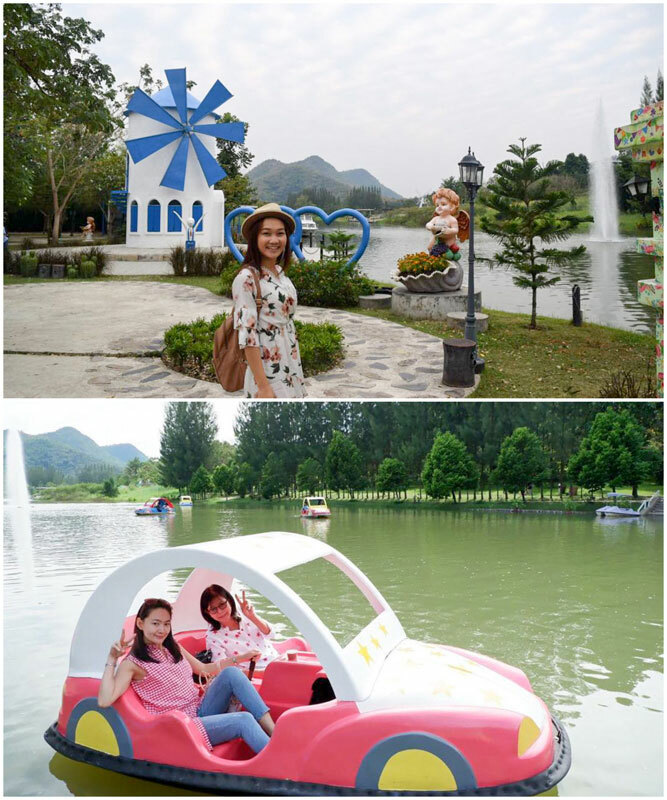 Have you ever thought of visiting the magical town of Khao Yai, just 3 hours drive from Bangkok? 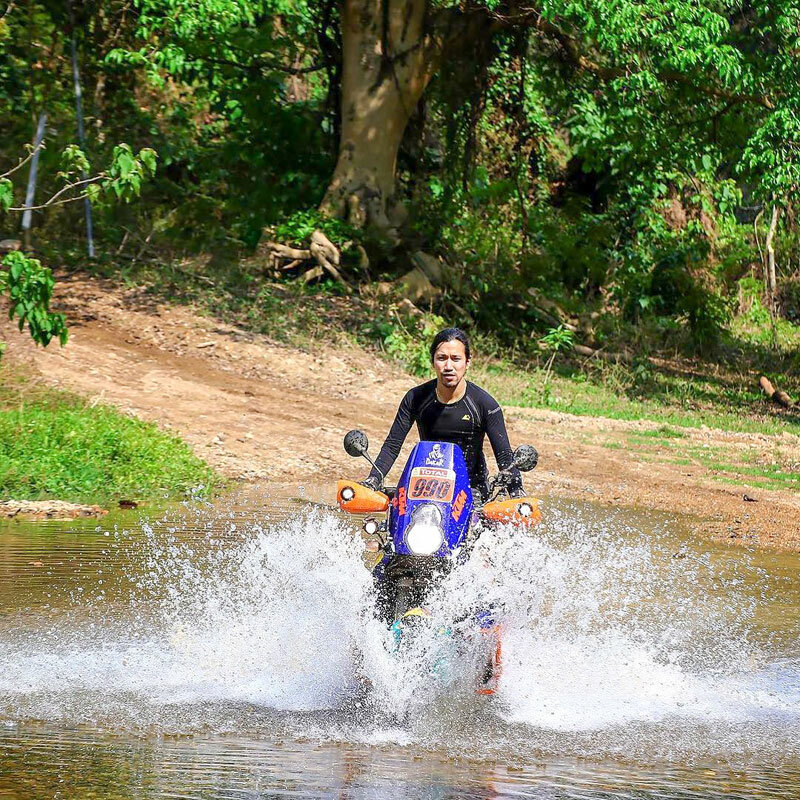 Here's the complete list of things to do in Khao Yai you never knew existed! 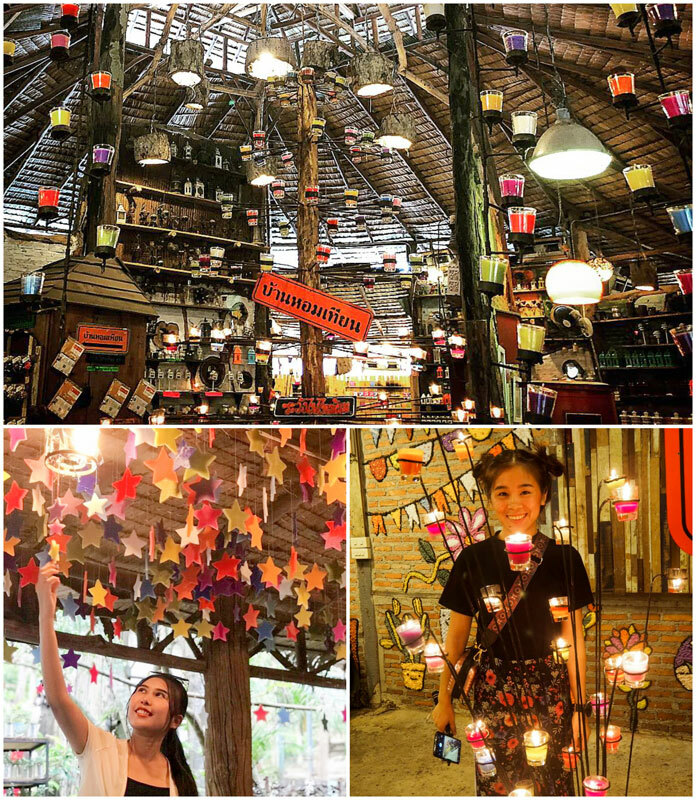 If Hua Hin isn’t already at the top of your bucket list, these 24 reasons / things to do in Hua Hin will convince you why it should be! 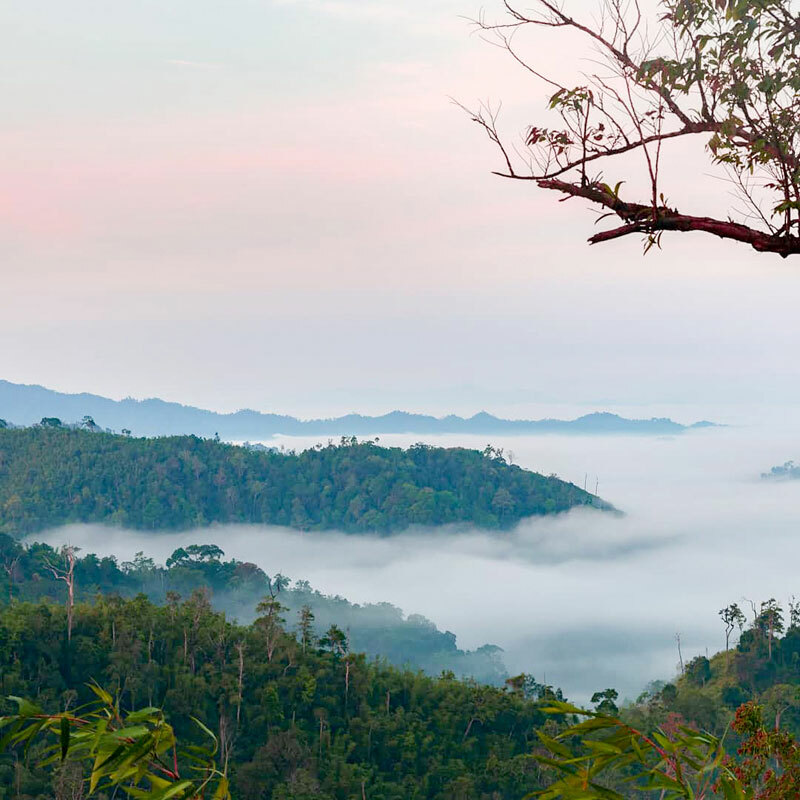 We bring you 15 most unique accommodations near Khao Yai National Park. There’s something to make every holiday memorable in this natural wonderland. 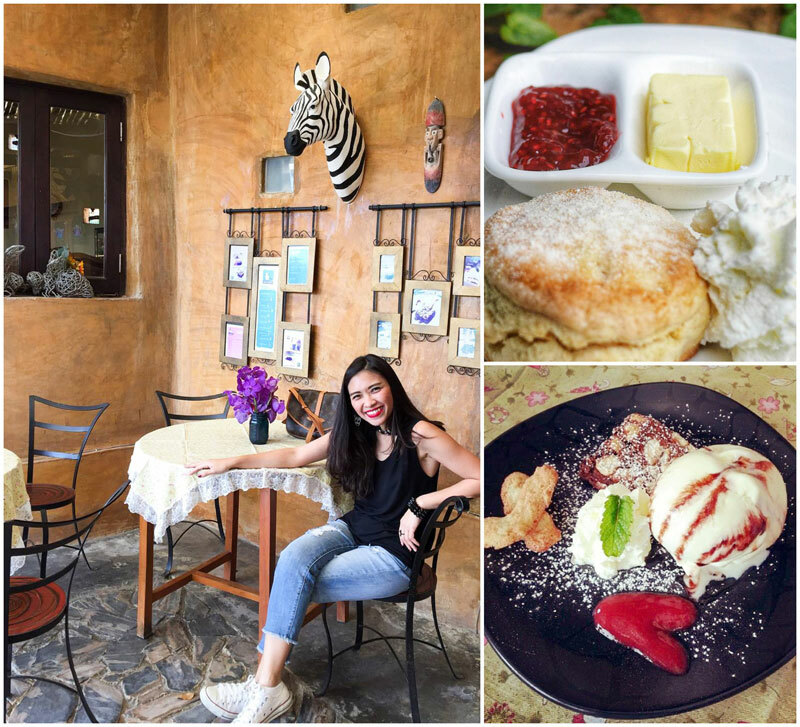 Ultimate café hopping guide to Bangkok: 34 charming new cafés that are worth a visit or two! Here's the best cafes and restaurants in Bangkok that will prove Thailand is up to scratch when it comes to unique dining experience. 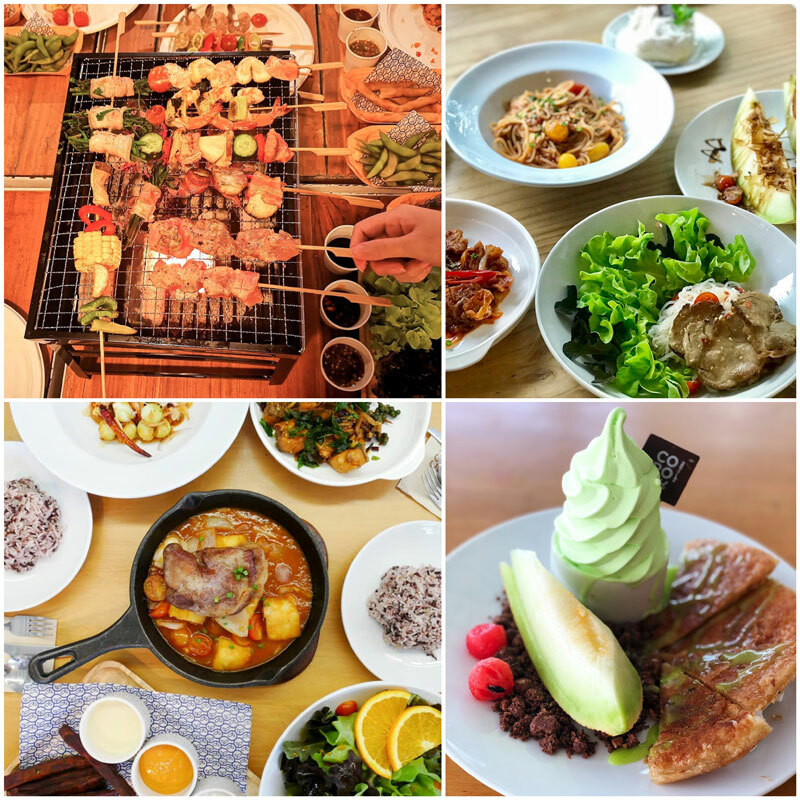 Apart from sandy white beaches and idyllic resort life, check out 12 of Hua Hin’s amazing restaurants and cafes for you sit at, and to watch the world go by. 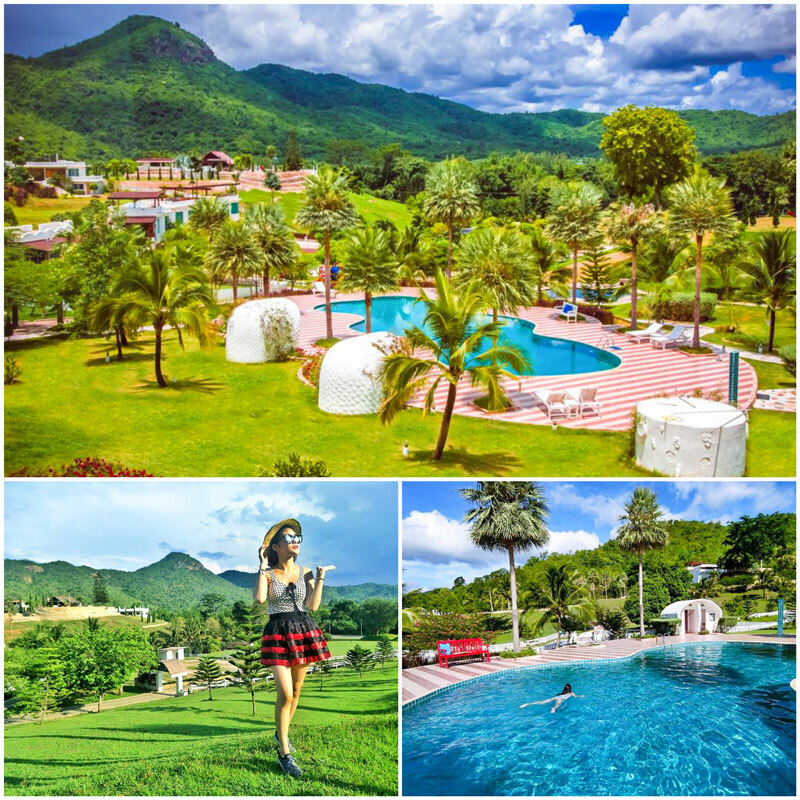 Jump from your room to the pool – these incredible hotels with pool access rooms in Hua Hin are not to be missed! 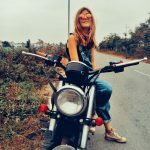 If Hua Hin isn’t already at the top of your bucket list, these 25 reasons / things to do in Hua Hin will convince you why it should be! 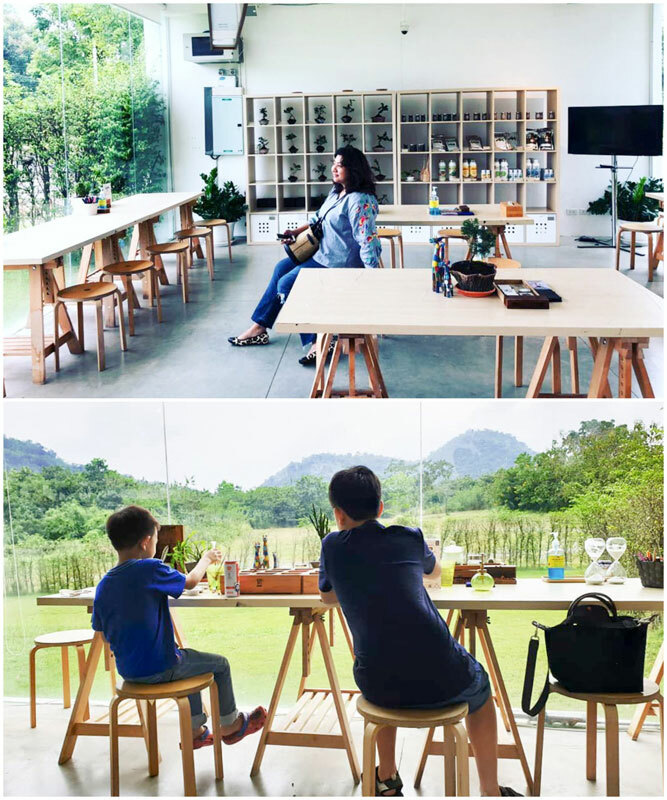 Beautiful cafes with unique concepts in Pak Chong, Khao Yai, for the avid cafe hopper. 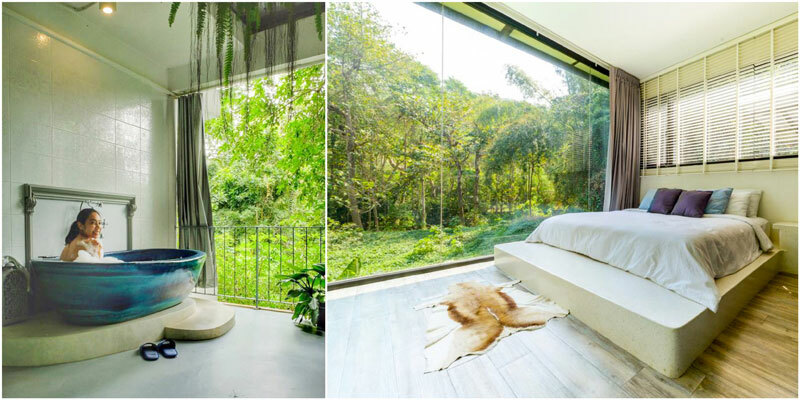 We bring you 15 most unique accommodations near Khao Yai National Park. There's something to make every holiday memorable in this natural wonderland. 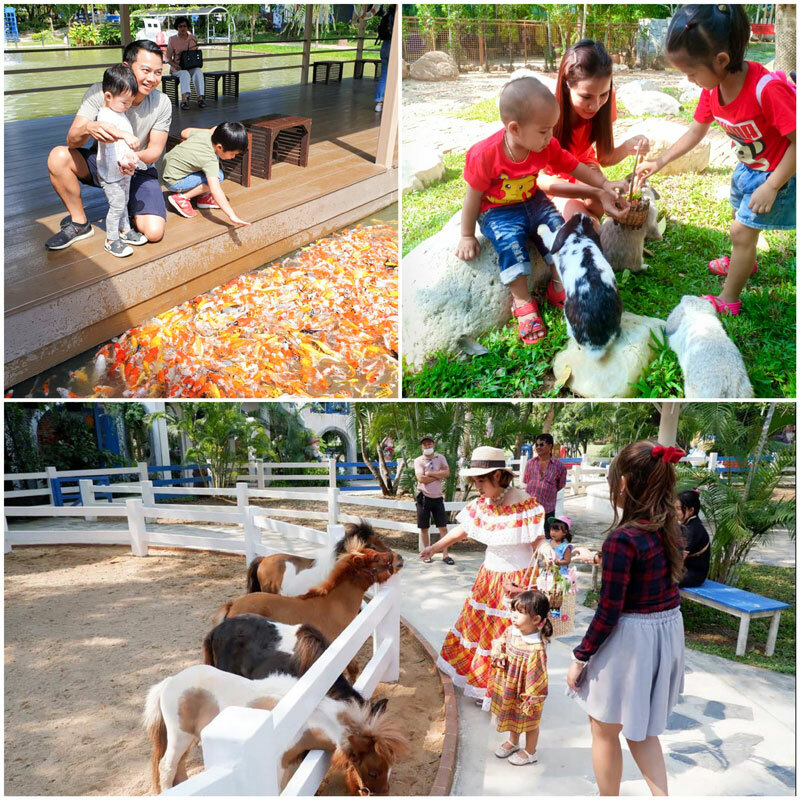 Thinking of bringing your family to Pattaya but don't know what's family-friendly there? 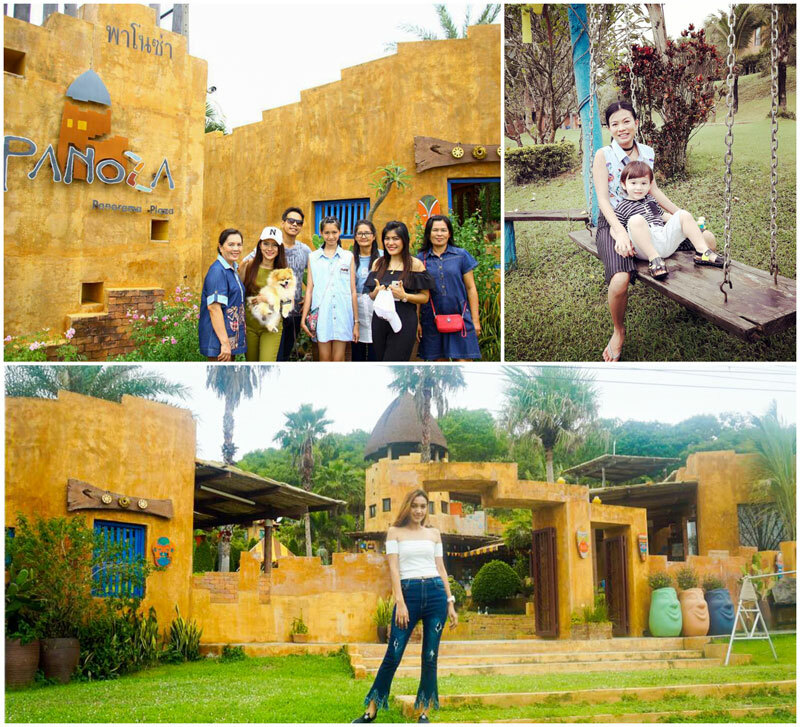 Check out this article and be wowed by these family-friendly activities here! 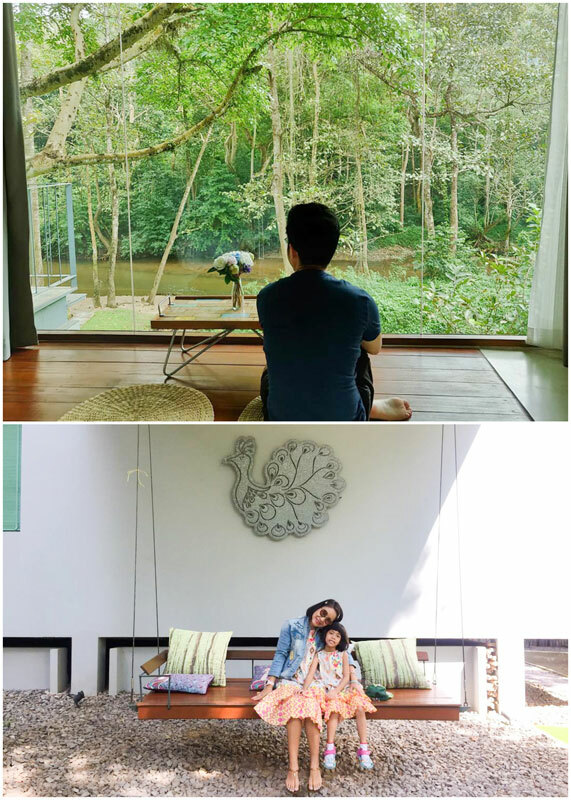 Are you going to Thailand with your kids? 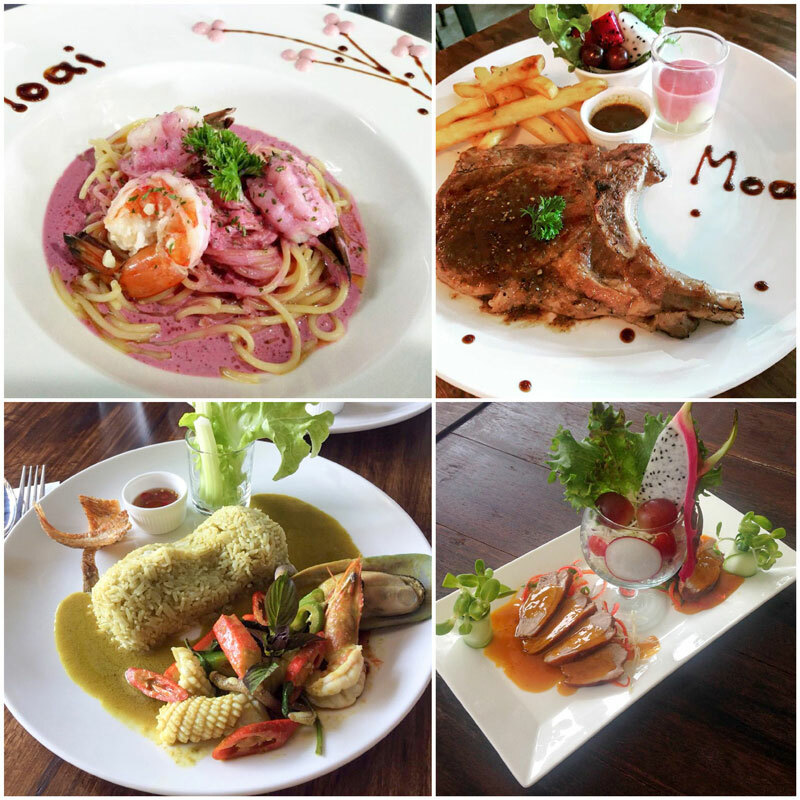 Pattaya can be an unexpectedly great family-friendly destination to visit. Check out these fun family resorts with waterslides! 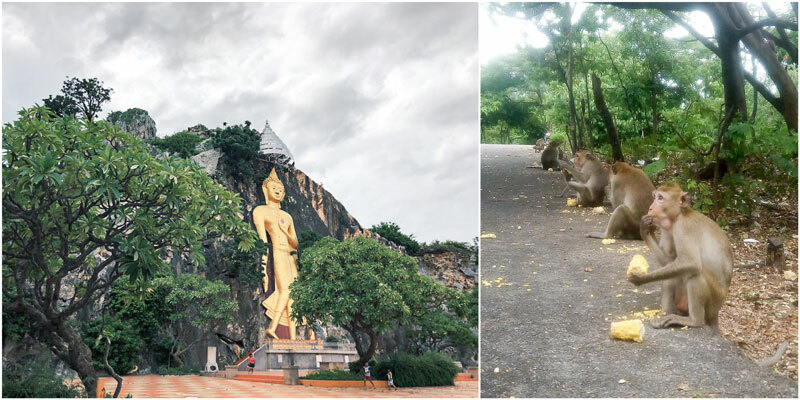 There’s more to Pattaya than you ever knew: 23 hidden attractions around the Chonburi region!